It seems a beer company has decided to offer rugby players dental implants that are actually designed to open bottles. Ouch! The video above is kind of graphic, but it's the one the beer company has provided. The full story can be found at Mental Floss. I worked with the smart people at Orascoptic in 2014 to help beta test the EyeZoom surgical telescopes. They are the only variable magnification scopes on the market that adjust from 3.0x to 5.0x depending on the need of the operator. 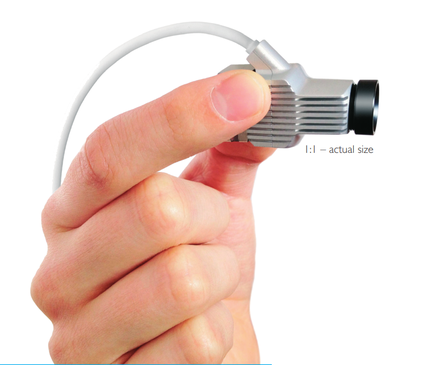 You can also attach an LED light to the system for better visualization. We applied a few tweaks to the system as we went through the beta and I feel the end result was a really good one. The 3.0x is very nice for hygiene exams where you want to get the "big picture", especially for new patients where the doctor is evaluating everything for the first time. Being able to see a complete quadrant really helps the doctor to get the "big picture" for new patient treatment planning. In my time with the beta and with the evaluation of the finished product, I've been very happy with what Orascoptic has created. Watch the video above for all the details and if you happen to be at the California Dental Association Meeting in Anaheim this weekend, drop by the Orascoptic booth and look at the EyeZoom. I'm confident you'll come away impressed. This product is *highly recommended*!!! I have been an iTero user for about 6 years now and I have had a great experience both with the company and the services they provide. Today is another reason why I’m impressed with them. We are writing to inform you that Cadent Ltd a division of Align Technology, Inc. is initiating a voluntary product correction of the iTero disposable Scanner Sleeves used with the iTero HDU intraoral scanner wand and is replacing then as needed. This notice affects approximately 5,000 iTero disposable Scanner Sleeves with part number (P/N) MA15145-A and manufacturing lot number (MLot )03414. The iTero disposable Scanner Sleeves were distributed fro December 8 2014 through February 26, 2015. Cadent Ltd is initiating this action after receiving a report from a customer that a single box of disposable Scanner Sleeves contained visible contamination that occurred during the manufacturing and assembly process. No injuries or adverse events have been reported to date and a detailed risk analysis determined that there is no expected health risk to patients or healthcare workers. Customers who have the following iTero disposable Scanner Sleeves for use with their iTero HDU intraoral scanner wand should stop using them immediately and return any unused sleeves for credit to their dealer along with the enclosed response form. Customers with questions may contact iTero customer support 1-800-577-8767 or via e-mail at iterosupport@alligntech.com. Product quality is a top priority and the company takes this situation very seriously. We apologize for any inconvenience this notification may cause you and your practice. For years now there’s been a part of the Internet dubbed the “Dark Internet”. I’t a place where all kinds of nefarious things go on and many of them have been brought by theTor Browser. It’s a way of remaining invisible on the ‘net. It’s been a very successful way for hiding out on the Internet fir quite some time now. However, anonymity is a lot like locks, you know, locks keep the honest people honest. However, if someone *really* & wants to get past the lock… they will. I mean, take a look at the London Jewelry Robbery that happened over Easter weekend and tell me that locks & security work. So… it really isn’t a huge surprise for me to find out that after enjoying a fairly long time at the top of the anonymity chart, the Tor browser system now has some problems. For those of you not familiar with it, here is the description directly from the Tor Project webpage. The Tor software protests you by bouncing your communications around a distributed network of relays run by volunteers all around the world: it prevents somebody watching your Internet connection from learning what sites you visit, it prevents the sites you visit from learning your physical location, and it lets you access sites which are blocked. The Tor Browser lets you use Tor on Windows, Mac OS X, or Linux without needing to install any software. It can run off a USB flash drive, comes with a preconfigured web browser to protect you anonymity, and is self-contained. Now, however, comes word that Tor servers are susceptible to the Heartbleed bug. I won’t go into all the details here, but if you want more info on Heartbleed here’s a link with more info than most of you would ever want. For info on the Heartbleed bug for dental professionals, we’ve got a nice “go to” piece at Dental Products Report online. A short post today, because the link will provide the info. CNN has an excellent article on the history of hacking. If you are even remotely interested in technology, it's a great read. Come by and have a "smile" cookie on us! Be careful what you Tweet boys & girls. It seems a well known security expert has been warning folks for the last 4-5 years about how easy it would be to hack systems on some planes. When he Tweeted about this from a flight, he was pulled off by the FBI. Seriously? A prominent computer security expert was barred from boarding one United flight, removed from another, and detained by the FBI—all apparently over a tweet pointing out how easy United’s security system is to hack. Chris Roberts—the founder of security analysis firm One World Labs—tweeted aboutvulnerabilities on his United flight’s engine-indicating and crew-alert systems (EICAS) last Wednesday. For the full story from Gawker, click here. It looks like the U.S. Navy’s X-47B UAV system is getting closer & closer to being ready to go. According to Alert5.com, the UAV made contact with an Omega K-707 aerial tanker 2 days ago to test the inflight refueling of the system. The trial was a success and this brings the stealth drone closer than ever to being ready to deploy. There isn’t a whole lot of info on the page, but you can check it out here. As most of you loyal readers know, I’ve been a drone owner & fanatic for a couple of years now. The latest one I’m flying is the DJI Vision 2 pictured above. I’ve been impressed with the device’s ease of use, durability, and the availability of spare parts. It’s just a flat out kick to fly and take images with. Being a drone owner has changed a lot in the time I’ve been flying and the newer models coming out are easier to fly, better built, and make the whole hobby just a lot more fun. A lot of those things I just mentioned are because of DJI. The company took a look at the marketplace and took it from a DIY hobby to something that almost anyone can use & understand pretty quickly. Now comes word that DJI (a Chinese company) is looking for a market valuation of $10 billion from investors. Is that amazing? It seems so to me, but that’s the word from CNN Money. For the full story from CNN Money, here is the link. The world's most innovative drone maker is not based in Silicon Valley. It's in China -- and it could be worth $10 billion. SZ DJI Technology Co., better known as DJI, is looking to raise money from investors at a $10 billion valuation, according to media reports. A company spokesman confirmed to CNN that DJI is talking to venture capital firms, but declined to comment further. The upstart Chinese firm is at the forefront of the drone invasion, offering professional quality machines to consumers for around $1,000. Should the funding round come off, the company's $10 billion valuation would catapult it into the ranks of elite tech startups. DJI's drones are designed with four propellers, and are easy for beginners to control. One of the latest models, the Phantom 3, comes equipped with a camera that shoots in 4K or 1080p, and has a range of 1.2 miles (2 kilometers). The drones are used by enthusiasts, commercial clients and the media (CNN owns a few, for example). The world got a close look at one of the company's products in January, when a DJI drone crash landed on the White House grounds, sparking worries over security. (DJI has already installed no-fly zones in some models). As a drone flyer and lover, I’ve got to say that I’m fairly impressed with this effort from 3D Robotics. This seems to be a definite shot over the bow at the DJI systems on the market. File this one under "life" for the blog. Sometimes you just come across something that is so much fun, you want to share it. That's the way it is today! Rolling Stone has a great article on why the above video is an amazing one to watch. If you lived in the 70's this one will definitely bring back the memories. Enjoy an unknown singer named Stevie Nicks wow the crowd with a fairly new Fleetwood Mac song called Rhiannon. April 9, 2015 – Charlotte, NC – The hottest ticket in town is selling out quickly. Sirona Dental, Inc., the company that pioneered digital dentistry, announced today that due to overwhelming demand, VIP and Entertainment-Only tickets to its upcoming CEREC©30th (CEREC 30) Anniversary Celebration held at The Venetian® and The Palazzo® Hotel in Las Vegas from September 17-19th 2015 will no longer be available for sale after May 15, 2015. The Entertainment-Only pass is offered to spouses or guests who are not doctors and who are not attending courses. The pass allows entry to the welcome reception Thursday evening, celebrity entertainment Friday evening, and the closing celebration at TAO nightclub on Saturday night. This pass does not include breakfast or lunches. The CEREC 30th Anniversary Celebration provides up to 18 CE credits across a comprehensive spectrum of digital dentistry topics and tracks, and features an exhibit hall showcasing top dental companies and their products and services. Anyone who wishes to purchase VIP and/or Entertainment-Only passes for CEREC 30 must act by May 15th. All dental and dental lab professionals are encouraged to visit www.CEREC30th.com to register and for additional information. A group of Stanford researchers has created a battery that will recharge a cell phone in one minute! The battery is supposedly much safer than the batteries currently in use and will last much longer as well. Can't wait to get my hands on one of these! All Star Wars Films Available for Digital Download this Friday! For the fist time ever, all of the 6 Star Wars films will be avail able for digital download this Friday. Here is the news from CBC news. 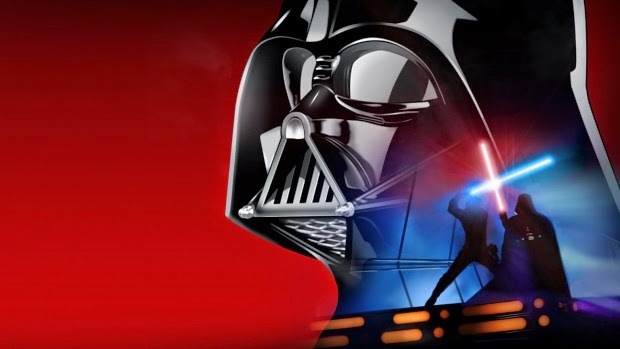 Star Wars fans be able to download or stream the entire collection in the intergalactic space saga starting this Friday, Walt Disney Studios, Lucasfilm Ltd. and 20th Century Fox have announced. All six movies will be available for purchase either individually or as a collection through a variety of online retailers, including iTunes, Google Play and Amazon, among others, they said Monday. Star Wars (also known as Star Wars Episode IV: A New Hope), 1977. The Empire Strikes Back (also known as Star Wars Episode V: The Empire Strikes Back), 1980. Return of the Jedi (also known as Star Wars Episode VI: Return of the Jedi), 1983. Star Wars Episode I: The Phantom Menace, 1999. Star Wars Episode II: Attack of the Clones, 2002. Star Wars Episode III: Revenge of the Sith, 2005. Click the link above for all the details! 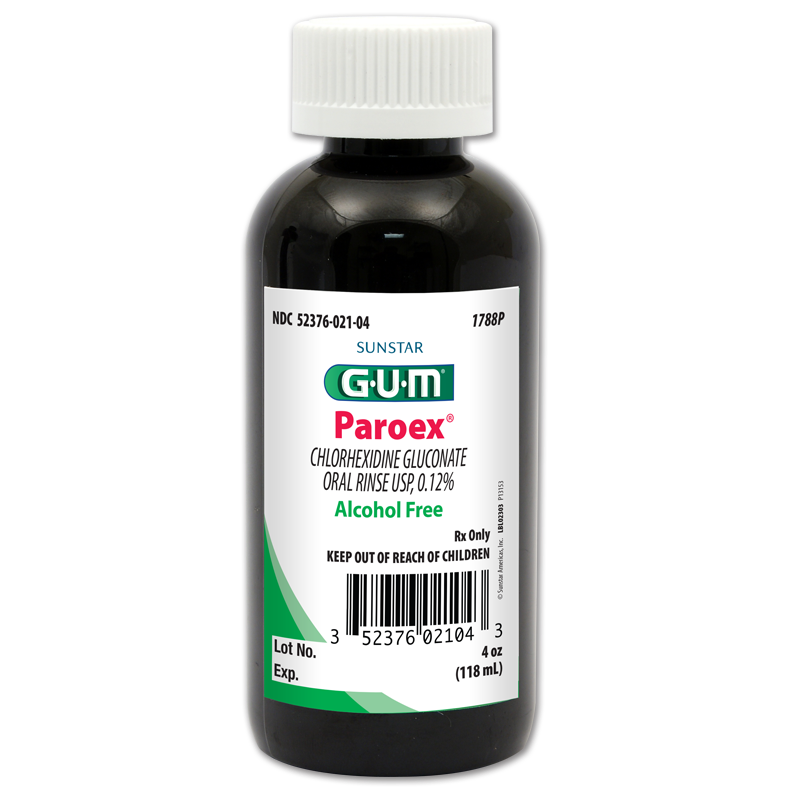 Alcohol-Free GUM® Paroex® (Chlorhexidine Gluconate USP, 0.12%) Oral Rinse Gives All Patients Access to Effective Gingivitis Treatment – now in a convenient new size. Chicago, IL, April 6th, 2015 — With the launch of a new 4 oz size of GUM® Paroex® Chlorhexidine Gluconate USP, 0.12% Oral Rinse, Sunstar Americas today reminded dental professionals that it has the only FDA-approved alcohol-free chlorhexidine rinse, which makes it possible for their entire patient base to have access to the same standard of care for the treatment of gingivitis. Paroex® is designed to be used as part of a professional program to treat gingivitis, leading to better gum health. According to the company, other chlorhexidine rinses contain 11.6% alcohol as an inactive ingredient, yet they are no more therapeutically effective than alcohol-free Paroex®. Alcohol in oral rinses may cause a burning sensation. This can be a barrier to patient compliance, as patients who may need to avoid alcohol may decide to not use the rinse or even decline to have their prescriptions filled. 1 Leyes Borrajo JL, et al. Efficacy of chlorhexidine mouthrinses with and without alcohol: a clinical study. J Periodontol. 2002 Mar;73(3):317-21. Sunstar Americas makes Paroex® available in 16 ounce bottles and, starting in April 2015, in 4 ounce bottles that patients can take home from their dental practice. This provides yet another way in which Paroex® can contribute to higher levels of patient compliance relative to alcohol- containing rinses. I've been a Royals season ticket holder for almost 30 years. Needless to say, last year was a dream come true for me. This year, I'm taking the day off & attending the home opener of my Boys in Blue. For any serious geek, Star Wars is something that is part of your DNA. Whether you grew up waiting for each of the films or are young enough that they were all on DVD or Blue Ray when you saw them, they hold a special place in a geek's heart. Drones, of course, are another love of geeks like me. I've been flying... and occasionally crashing drones for well over 2 years now. They have become my tech hobby of choice other than dentistry. One of the companies that I buy drones and drone parts from is 3D Robotics. They are a good company and really support the DIY drone hobbyists. 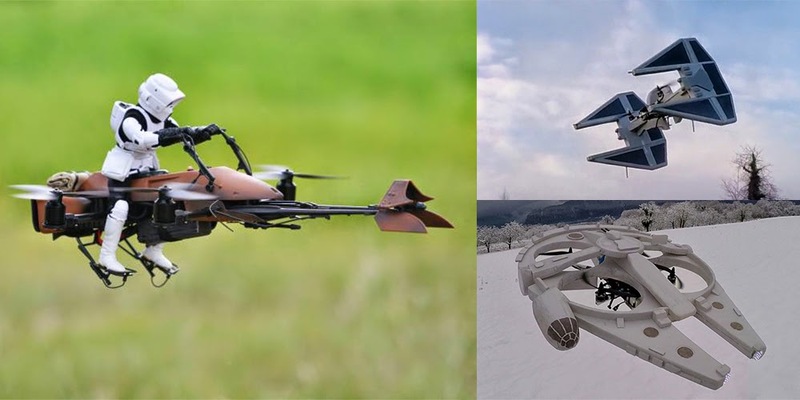 Because I'm a 3DR fanboy, I check out their blog on a regular basis and this time I stumbled across some amazing drone designs. Imagine flying a Tie Fighter or the Millenium Falcon! This is a geek's dream come true. 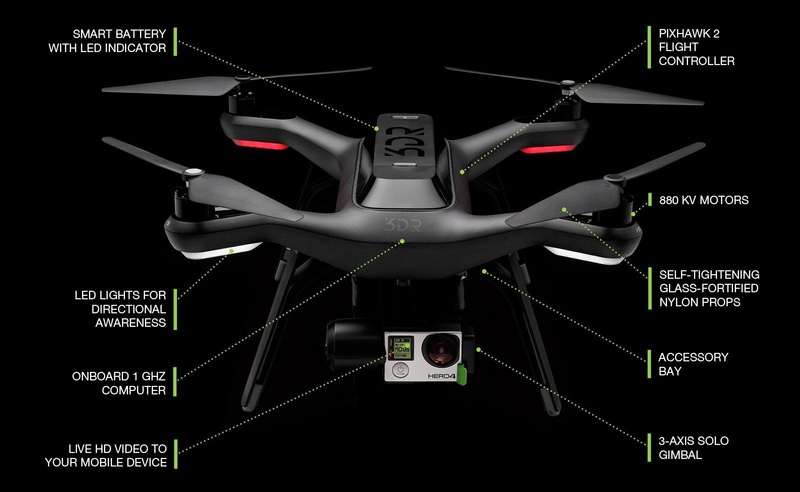 For all the Star Wars drones & even a video of one flying, visit the 3DR blog page here. Enjoy!!! At the Pacific Dental Conference last year, I got a chance to meet the smart guys behind the Futudent camera. It is a head mounted camera that allows you to capture video or still photos in HD!!! This tiny camera can be mounted on surgical telescopes or, in my case, the bill of a KC Royals baseball cap! I've been testing the Futudent camera since the Chicago MidWinter meeting and I've got to tell you that this device is really ready for prime time. I have the focal length set to match the focal length on my surgical telescopes and now the patients can see exactly what I see in real time. The camera comes with software that uploads your video to a HIPAA compliant cloud storage solution which makes creating videos quick and easy. For quite a few years now I have had patients ask me when I would have a camera that would allow them to see what I see... with the Futudent, that time is now. The tiny camera connects to the operatory camera via USB. It takes very little time to set up and in a matter of minutes you are ready to show and/or record HD video of your procedures.